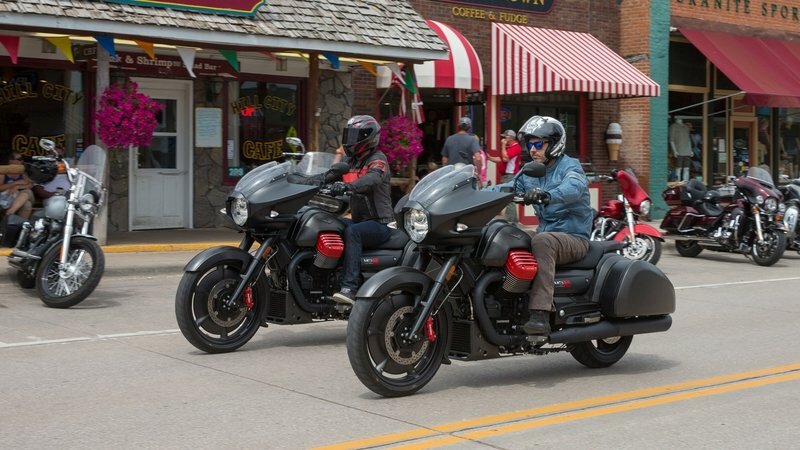 Moto Guzzi fans with tour-bike tastes looking for a ride to take them hither and yon on the open roads were more or less limited to the California 1400 — until 2016. After much buildup and fanfare, the Moto Guzzi MGX-21 “Flying Fortress” (FF) was finally released, and it brought long-distance touring capacity and comfort to the table with a decidedly dated look that targets fans of classic American car design from the ’60s. A big, 1,380 cc V-twin pushes the FF with torque to spare, and a highly stylized front fairing, windshield and saddlebags completes the tour-tastic package. Here in the U.S. of A., we have different ideas than the rest of the world about what makes a proper tour bike. 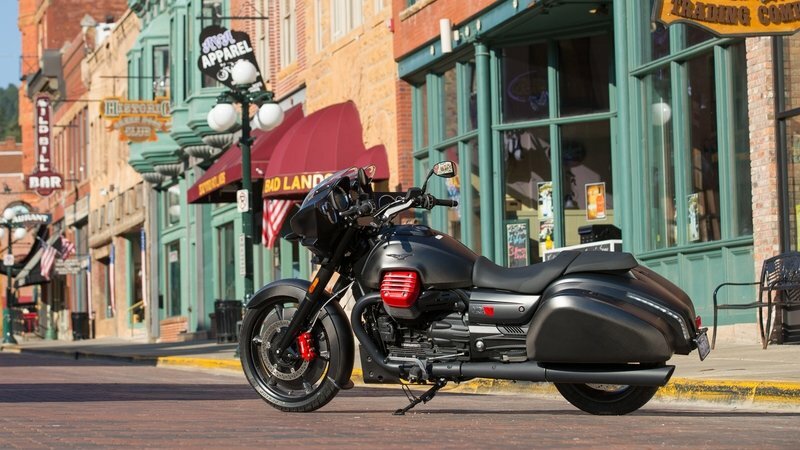 I had to admit that I was looking forward to the release, and couldn’t wait to see how well ’Guzzi interpreted the classic American touring bagger. I wasn’t disappointed. 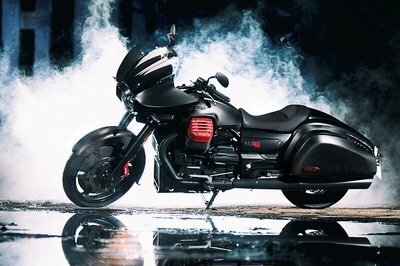 Continue reading for my review of the Moto Guzzi MGX-21 Flying Fortress. 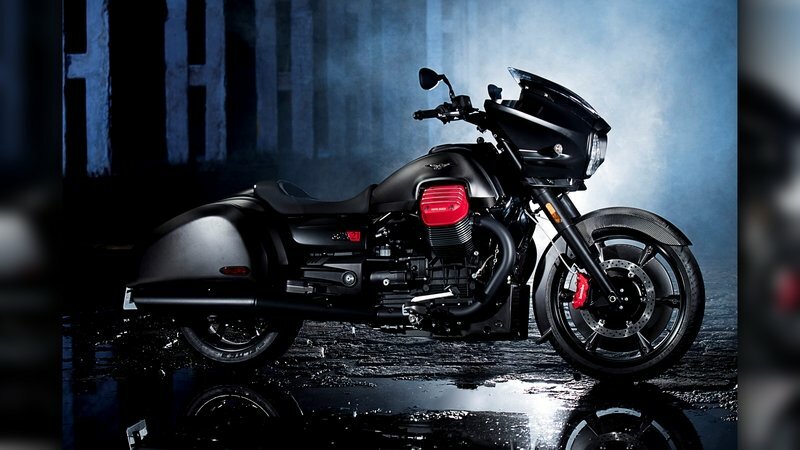 Moto Guzzi set the engine in its typical transverse arrangement, so the protruding heads form shoulders that make it look just a bit front heavy and suggest great power. OK, I am going to have to just come right out and ask; is anyone else hearing the theme music from the original Batman with Adam West? At its heart, the FF is a functional touring machine, but the batwing (ha ha) fairing and molded windshield really draw the eye and call to mind a time in American car history when dramatic shapes such as fins, bullet lights and wheel skirts were popular and commonplace. In the end, we wind up with a functional ride that doesn’t take itself too seriously. A cyclops headlight set within the Bat-bike fairing leads the way, and the curved windscreen keeps a low profile for more of that ’50s style. From there, the upper lines flow down to a shallow saddle and pillion pad. The fenders, fuel tank, saddlebags and chin fairing/oil-cooler cowling (but for some reasonnot the fairing) all come made of carbon fiber left bare, and that lends the bike a certain air of exclusivity. ’Guzzi set the engine in its typical transverse arrangement, so the protruding heads form shoulders that make it look just a bit front heavy and suggest great power, oh and the factory wanted to make damn sure you didn’t miss them either, as evidenced by the stoplight-red paint on the valve covers amidst all the dark carbon and black engine paint. It’s an interesting combination of features, to be sure. A ride like this is not an exercise in subtlety. At 752 pounds soaking wet, it is trending toward the heavy end of the spectrum, and that’s fine since weight usually equates to comfort on long hauls. For the bones, MG started out with tubular ALS steel and went with a double-downtube, double-cradle arrangement that supports the engine on rubber mounts, rather than hard-bolting it into the frame in a stressed-engine setup. The steering head is cranked out there at 32 degrees with 7.4 inches of trail for supreme straight-line stability. A set of 45 mm forks float the front on 4.2 inches of travel, but come with no adjustments to the ride quality. The rear end floats on a pair of shocks that offer up the same amount of travel and at least come with an adjustable preload so you can adjust for changing passenger and cargo loads. Alloy rims mount the 180/60 R16 rear, and 120/70 R21 front hoops, with Metzeler Lasertec rubbers all around. MG didn’t leave the FF hurting for brakes, far from it. A pair of four-pot, opposed-piston, Brembo calipers bind the dual, 320 mm front brake discs and a twin-pot caliper pinches the 282 mm disc in back. ABS protection comes as part of the standard equipment package, freeing you up to use those big brakes to control all that mass with confidence. The handlebars, seat and mid-mount foot controls describe a relaxed, semi-windsock position that is generally pretty comfortable around town and on long trips, but can be a little cumbersome when you try to take the curves fast and hard. Front wheel rim: 3.50" x 21"
Rear wheel rim: 5.50" x 16"
The mill has plenty of power for pulling hills and interstate passes, even with the weight of the thing. Transverse-mount engines aren’t all that uncommon, but it isn’t everyday we see a transverse V-twin peeking out from under the fuel tank. Naturally, this is part of the whole MG appeal and is to be expected on a bike out of Mandello del Lario. Air cooled, the jugs stick out well into the airflow for efficient heat transfer with an oil cooler mounted low between the downtubes for an extra layer of protection for the engine’s lifeblood. Housed in the jugs are massive, 104 mm pistons for a total displacement of 1,380 cc. A Weber-Marelli electronic fuel-injection system controls the air-fuel mixture, and a Ride-by-Wire throttle system enables a couple of nifty features. First, the bike comes with three, preset, selectable engine maps that provide variable power-delivery curves for different riding styles and conditions. Next, we have a traction-control system that provides an extra safety net by monitoring wheel speeds and intervening by reducing power when slippage is detected — just think of it as ABS for going instead of stopping. 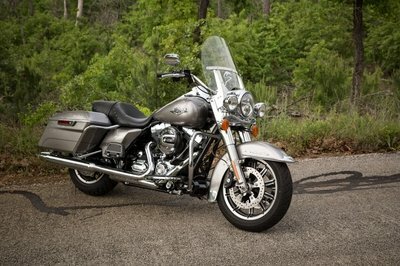 Finally, we have the cruise-control function that gives the right hand a much-needed break on long hauls. 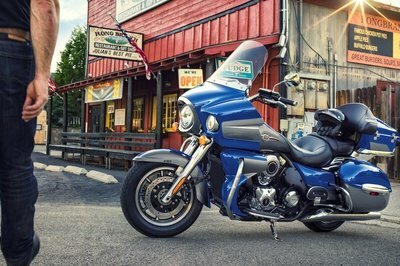 As you would expect from a V-twin, the mill is characteristically torquey and comes on low with 89.2 pound-feet of grunt at only 3,000 rpm, and almost 97 horses when you wind it up to 6,500 rpm. This is plenty of power for pulling hills and interstate passes folks, even with the weight of the thing. 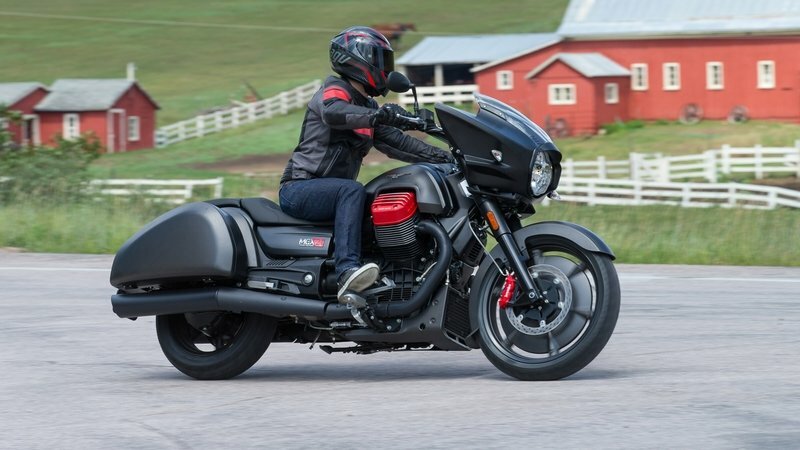 A dry, single-plate clutch makes the connection between the mill and the six-speed transmission with ’Guzzi’s Compact Reactive Shaft Drive to carry power to the rear wheel. Matte Black is the only color available, but it keeps in the whole "Batman" vibe of the bike. The MGX-21 can be had in the U.S., but you had better like the raw carbon look over blackout running gear ’cause that’s all that’s available. Buyers can expect to pay something in the neighborhood of $21,990 for this dark and menacing tour machine. 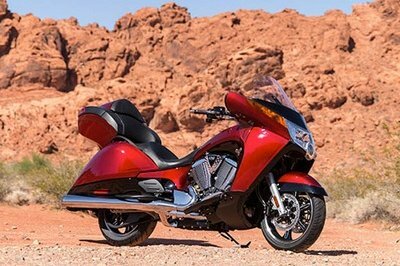 With some fancy tech and a decent bike, the MGX-21 beats out the competition until you get to the check-out counter. Nowadays it seem nearly everyone has an “American-style” bagger in their lineup, and so there was no shortage of potential candidates. 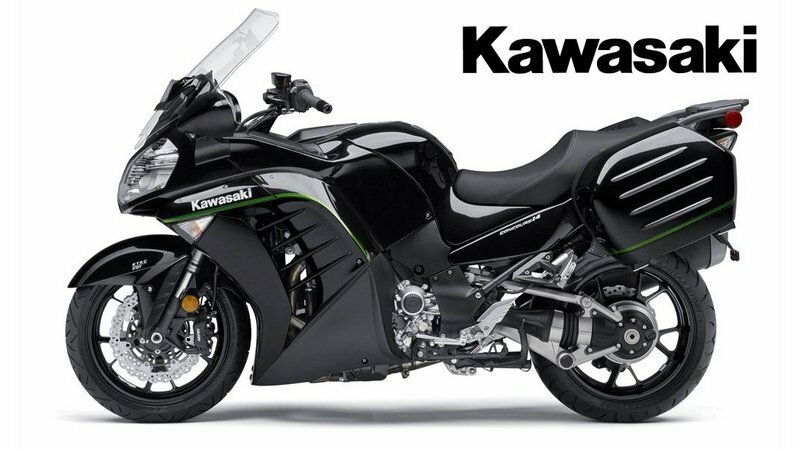 First I considered the Concours by Kawasaki, but decided it looked too different. Then I considered the Victory Magnum X-1 but decided the difference in engine size was too great. 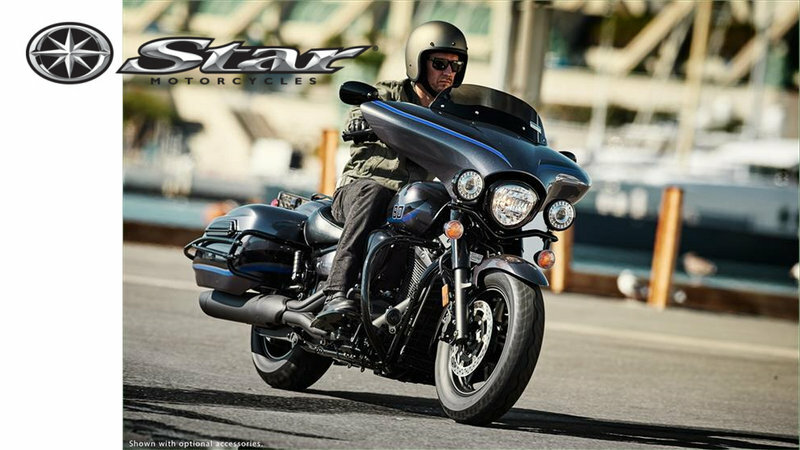 Finally, I set my sights on the V Star 1300 Deluxe from Yamaha’s Star Cruiser stable, and felt like I had a close-enough match. 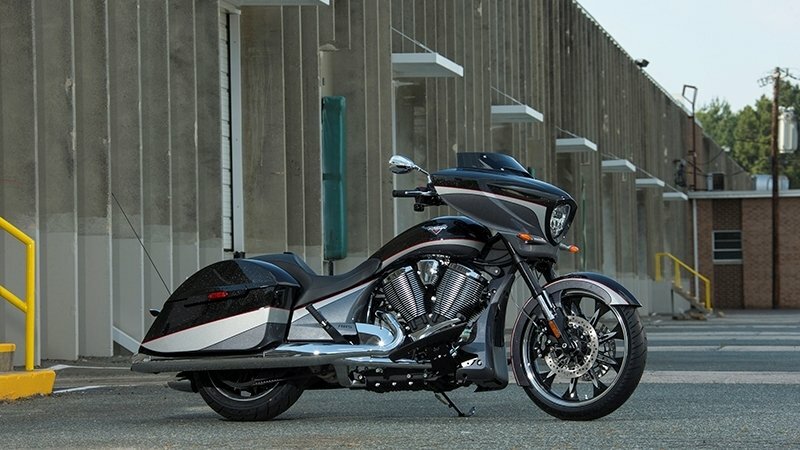 Lookwise, they both manage to capture the essence of a domestic bagger, though the V Star comes off as the more American-esque of the two by virtue of the less-radical design of the fairing, and the fore-and-aft arrangement of the V-twin engine. 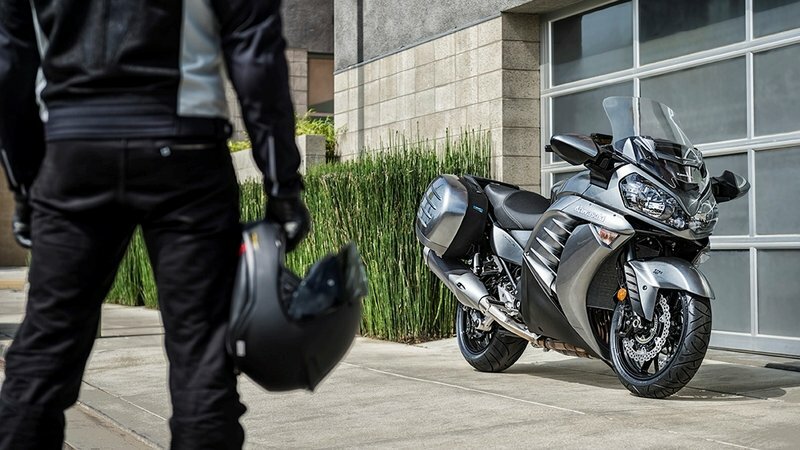 If the point is to appeal to the U.S. Market, Yamaha is much closer in appearance to some other current models over here, be that for good or ill. Neither bike is particularly stellar in the suspension department, and to be fair, both leave some fairly common technology on the table, such as fully-adjustable suspension and even electronic/automatic adjustment. MG gets it right with the Brembo brakes and ABS, and gains an edge on the V Star. Both lumps are V-twins, sure enough, but the similarities seem to end there. While MG mounts its 90-degree, 1,380 cc V-twin sideways in the frame, Yamaha bolts in its 60-degree, 1,304 cc V-twin in front-to-back, and runs with water cooling versus the air-cooled Flying Fortress. ’Guzzi gains another advantage with the fancy traction control and rider mode features, of which the V Star has none, and an edge in power. 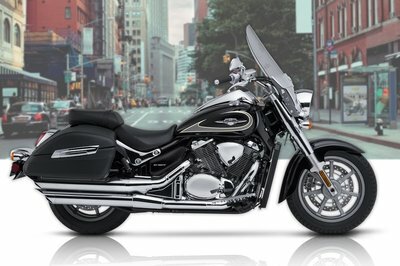 At 89 pounds and 96 ponies, the FF brings a bit more heat than the V Star with its 81 pounds of torque and 70 horses. 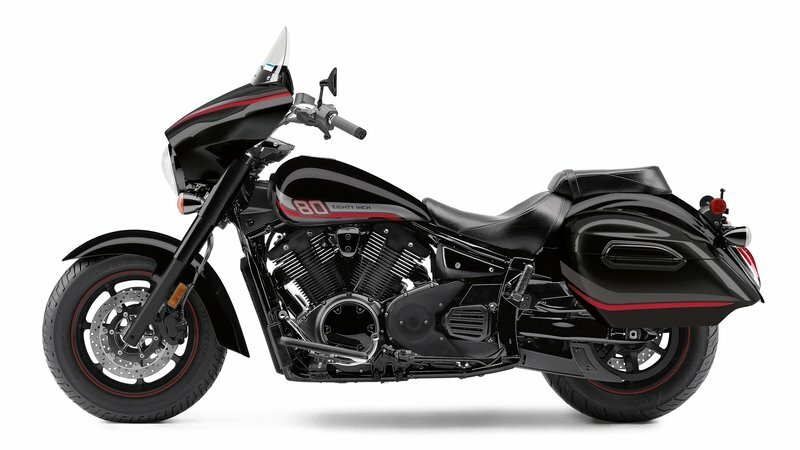 Yamaha picks up a big win at the till with a $14,090 sticker on its V Star 1300 Deluxe, a sight lower than the $21,990 tag hanging off the Flying Fortress. Some of that difference can be explained away by the lack of fancy tech on the V Star, and the rest is what ’Guzzi figures its name is worth. Kind of like Harley, just in Italy and without the dismal AMF years. See our review of the Yamaha Star 1300 Deluxe. 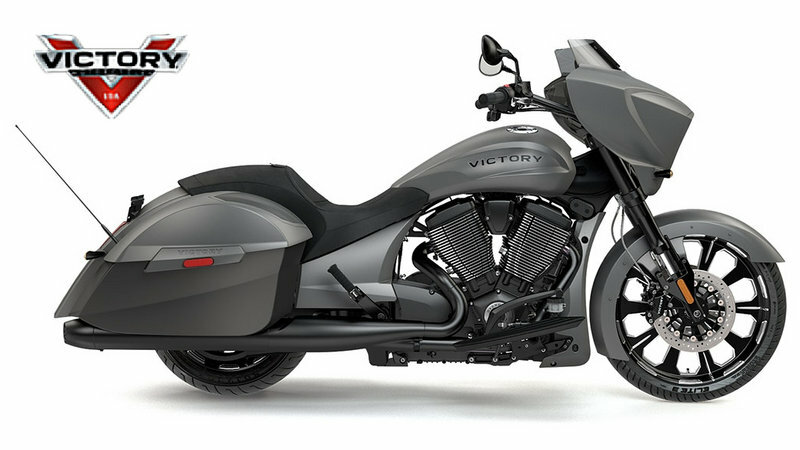 See our review of the Victory Magnum X-1.